A Turkish woman who was arrested when she was eight months pregnant has recently been released after giving birth while incarcerated. Turkeypurge.com reached out to the victim, who spoke about her experiences under arrest. She preferred not to reveal her identity due to concerns over Turkey’s socio-political environment. The victim said she was arrested due to alleged links to a so-called “terrorist” organization, FETÖ, a term coined by the Turkish government to refer to followers of the Gülen movement. 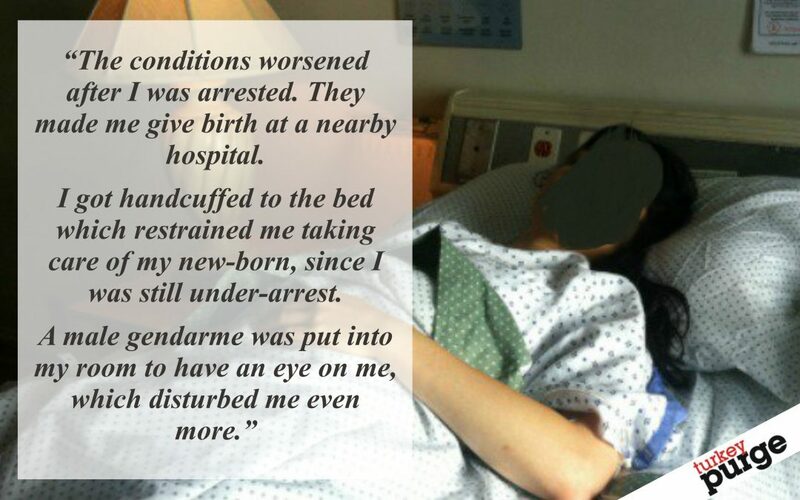 While eight months pregnant, she was taken from her home by police and subjected to harsh treatment in custody. Back in prison, she appealed the court decision ordering her arrest. She was released pending trial days after her petition. She is believed to be only one of many victims of the political oppression that has led to the purge of hundreds of people in Turkey.